Becky Woodcock and Kirsty Devaney are just two of the musicians who contributed music to Flash Up! there are 4 others for you to choose from, including Chris Mapp, Sid Peacock, Katie Stevens and Jyoti Sehjal. As well as a great spoken word piece by Deanna Rodger. 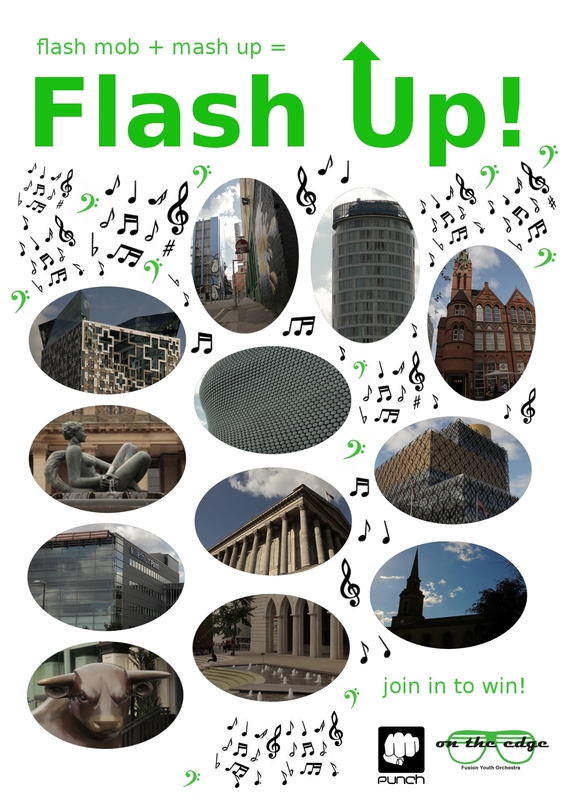 You decide which you want to perform and come to the centre of Birmingham to perform your version at one of the 12 venues (at 11am or 3pm), ask a friend to record your performance (on a mobile is fine) and submit it to us at ontheedgemusicfusion@gmail.com no later than 10 September. We’ll let you know if you are the winner by email.